Liz Tedder was in a 3-way chop at the Wildhorse Spring Poker Round Up Main Event, then heads-up for $1K and the bracelet just a few days after sending us this picture! I was going to write a whiny post about how I blew it in the High Roller calling off my stack on a river where I knew my flopped set of aces had been beat (hence the great shot from Liz Tedder of the Bad Beat Wheel of Misfortune™ that I got to spin—hitting the hand sanitizer just to rub things in) but long-time friend of the blog Brad Press pointed out—contrary to what I’d seen earlier in the week—the results from the series were being posted on the Wildhorse web site. (Brad’s a perceptive guy, he was actually the very first person to approach me at a tournament about the blog). Anyway, just for convenience, I’m reposting results here. Events 1–8 are up, with the exception of the #7, the Big O, which are linked to #8 at the time I’m writing this. For the uninitiated, at Wildhorse, you get to spin the Wheel of Misfortune when your aces or kings are cracked in a tournament—even if you aren’t knocked out. 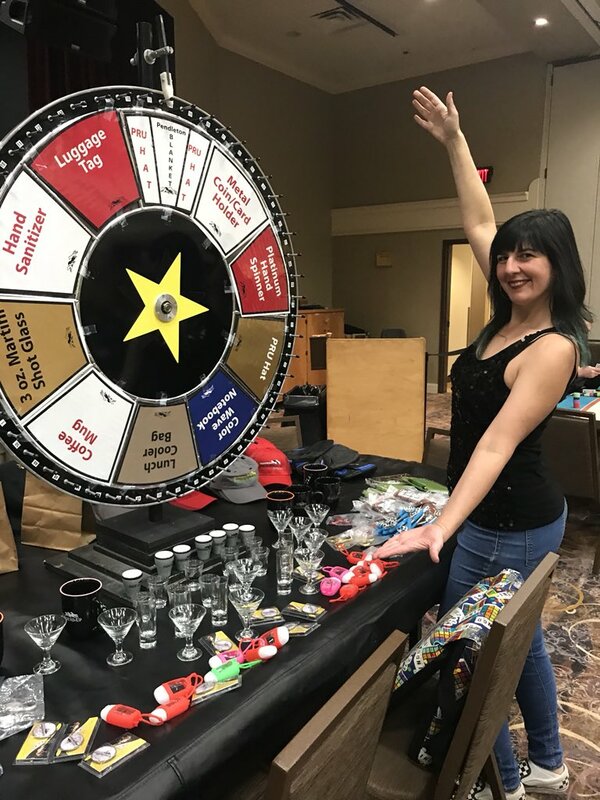 Most of the prizes are tokens—the wheel’s running every few minutes during the larger tournaments—but you can win a Pendleton blanket or so I’ve heard.